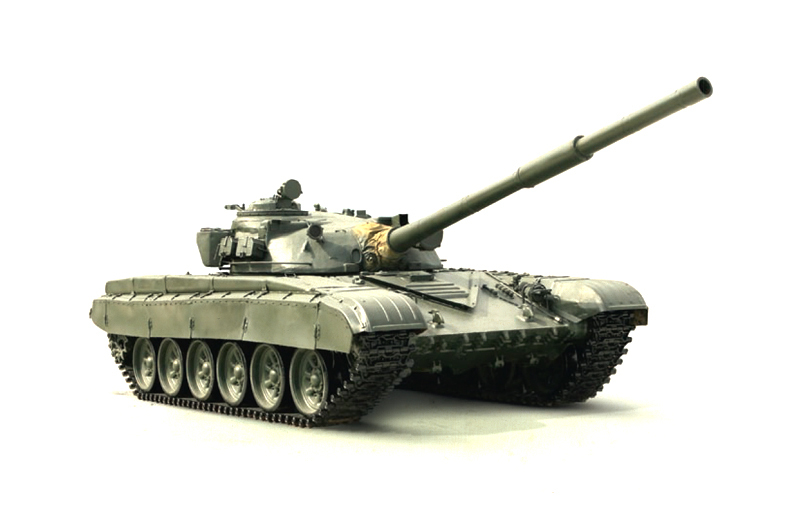 The T-72 is a Soviet second-generation main battle tank that entered production in 1971. About 20,000 T-72 tanks were built, making it one of the most widely produced post–World War II tanks, second only to the T-54/55 family. The T-72 was widely exported and saw service in 40 countries and in numerous conflicts. Last edited by Stronger on Wed Jun 07, 2017 3:34 pm, edited 2 times in total. 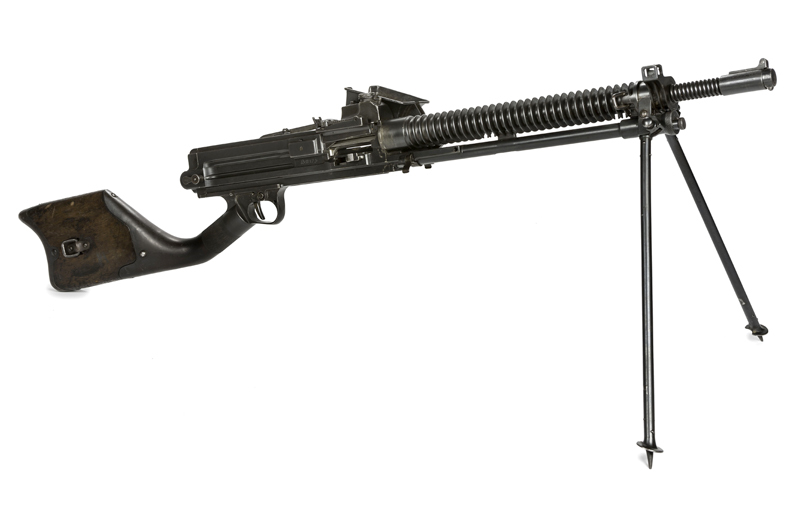 The Type 11 light machine gun (十一年式軽機関銃? Jyūichinen-shiki Kei-kikanjū) was a light machine gun used by the Imperial Japanese Army in the interwar period and during World War II. Last edited by Stronger on Wed Jun 07, 2017 3:44 pm, edited 2 times in total. 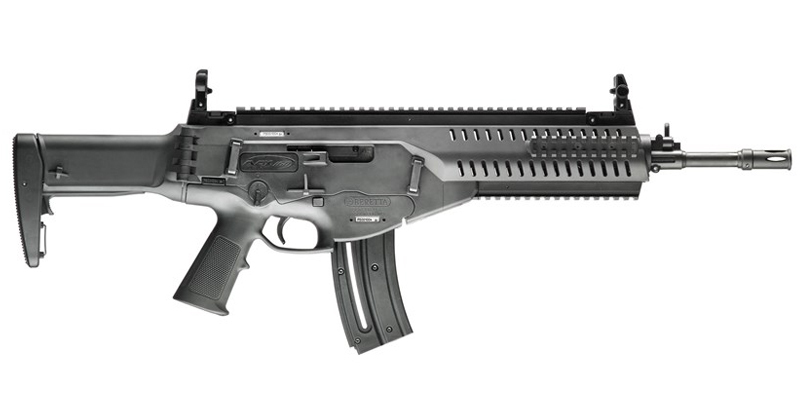 The Beretta ARX160 is a modular assault rifle manufactured by Beretta. Developed for the Italian Armed Forces as part of the Soldato Futuro (English: "Future Soldier") program, the ARX160 was launched in 2008 as a commercial weapon system independent from the Soldato Futuro ensemble, complete with a companion single-shot 40×46mm NATO low-velocity grenade launcher, called GLX160, which can be mounted underneath the rifle or used with an ad hoc stock system as a stand-alone weapon. 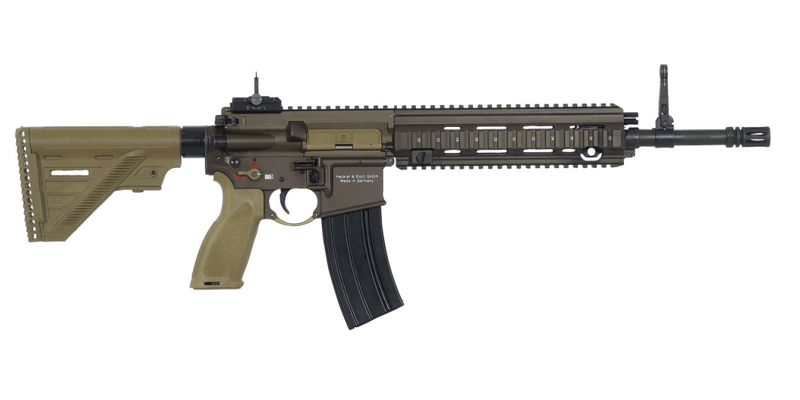 Kel-tec RDB and M43 semi-automatic rifles were first announced during ShotShow-2014 in January, 2014, and scheduled for production late in 2014. Rifles are designed by innovative American gun-making company Kel-Tec CNC Industries. Both weapons are similar to each other, with differences in furniture and looks only – RDB features polymer furniture while M43 features “old-style” wood and metal furniture. 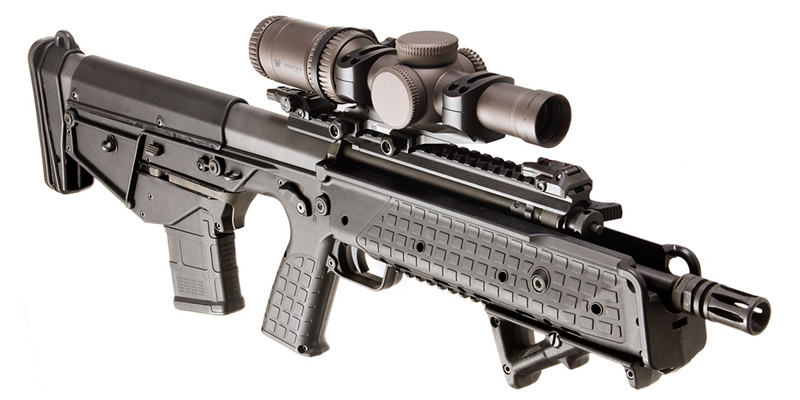 Like their predecessor, the .308-caliber Kel-tec RFB rifle, new RDB and M43 are designed to be 100% instant ambidextrous weapons of bullpup layout, and RDB stands for Rifle, Downward-ejecting, Bullpup. 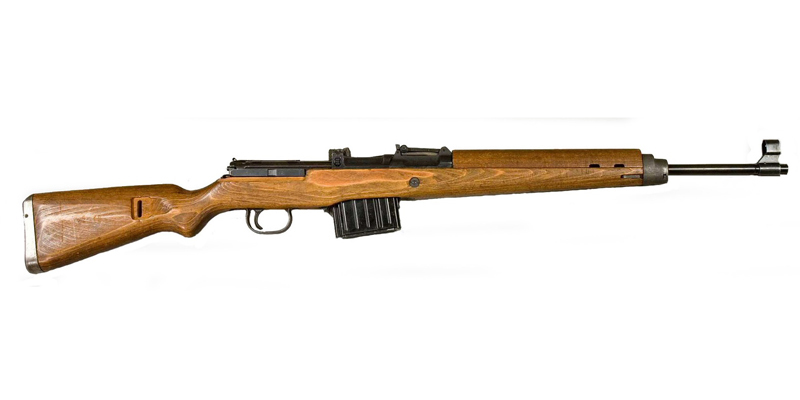 The rifle is basically a K31 action, with a bunch of modifications to convert it into a very nice marksman’s rifle. The more obvious changes are the muzzle brake (very reminiscent of the second model FG-42, which makes sense as the Swiss experimented with those rifles quite a bit after the war), pistol grip stock, bipod, and 3.5x optical scope. 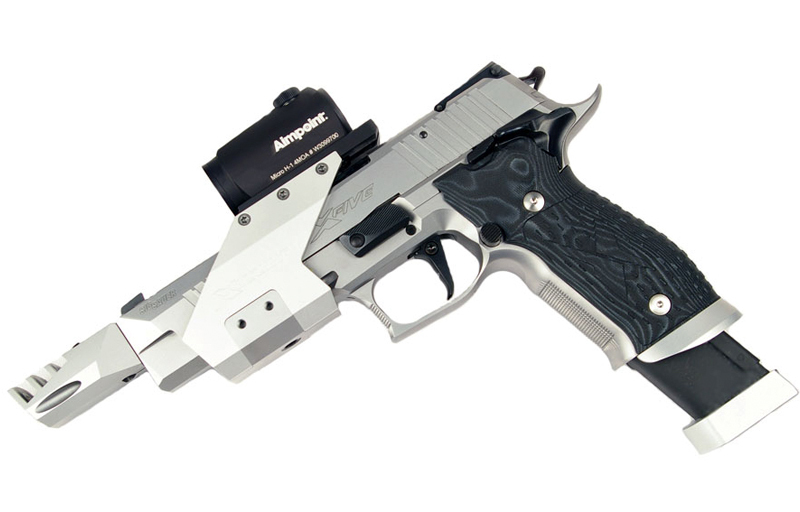 The SIG Sauer P226 X-Five is a competition only variant of the P226 with a 127 mm (5.0 in) slide and barrel, beavertail grip, and an adjustable rear target sight. Intended for IPSC Wa1500, bullseye and other centrefire competitive shooting, the X-Five is hand-fitted and assembled in Germany, and its resulting accuracy accordingly rivals the SIG P210. The Heckler & Koch HK416 is an assault rifle/carbine designed and manufactured by Heckler & Koch. 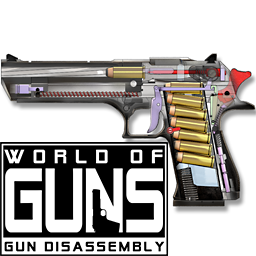 Although its design is in large part based on the AR-15 class of weapons, specifically the Colt M4 carbine family issued to the U.S. military, it uses an HK-proprietary short-stroke gas piston system originally derived from the ArmaLite AR-18 (the same system was also used in Heckler & Koch's earlier G36 family of rifles). The HK416 gained fame as the weapon that United States Navy SEALs from DEVGRU Red Squadron used to kill Osama Bin Laden in 2011. The AN-94 is a rifle of Russian origin. The initials stand for Avtomat Nikonova model of 1994, after its chief designer Gennadiy Nikonov who previously worked on the Nikonov machine gun. 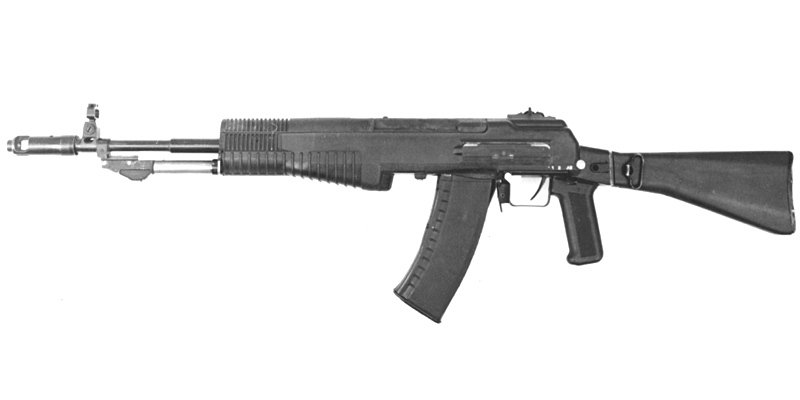 The AN-94 was designed as a potential replacement to the AK-74 series of rifles currently in service with Russian Armed Forces. Due to complex design and expense, its adoption has been very slow and it is in limited use, and it most likely will never become general issue. As of March 2013, the AK-74M is still the general issue rifle used by the Russian Armed Forces, with production of the AN-94 ceasing in 2006. The stated great advantage of the AN-94 system is its ability to delay the recoil force until the fired round/s have left the barrel. This, it is claimed, enables more 'hits' on target under the most adverse combat conditions. 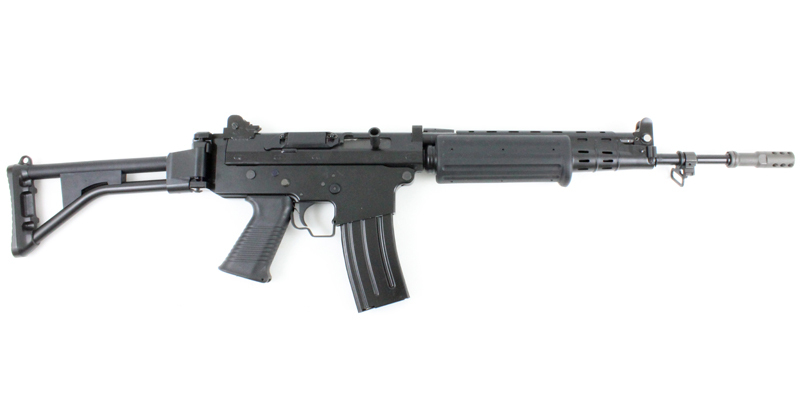 The AN-94 offers a unique two-shot burst function at a stated 1800 rounds per minute rate of fire. The Nikonov mechanism fires the second shot in the burst quickly enough to allow it to escape before the recoil of the first shot is felt, thus potentially allowing the two shots to hit extremely close together, for example to aid in piercing body armor. The FN FNC (French: Fabrique Nationale Carabine) is a 5.56×45mm NATO assault rifle developed by the Belgian arms manufacturer FN Herstal and introduced in the late 1970s.